If you’ve ever fired an AR-15, chances are there are parts of the rifle you’ve loved and parts of the rifle you wish were modified. That makes sense: Different shooters prefer rifles that are designed differently because no two bodies are exactly the same. While some riflemen might enjoy grips that are smooth, for example, others might favor grips that feature more contours. The good news is that your AR-15 is an extremely customizable rifle. There are virtually endless ways you can personalize your weapon. By upgrading certain components of your rifle, you can build the AR-15 that is best suited to your particular shooting preferences, as well as to how you intend to use the weapon. The end result? A more accurate and therefore more optimal shooting experience. Believe it or not, you can become up to 45 percent more accurate in the field when you build the rifle that feels best in your hands. And the best news? 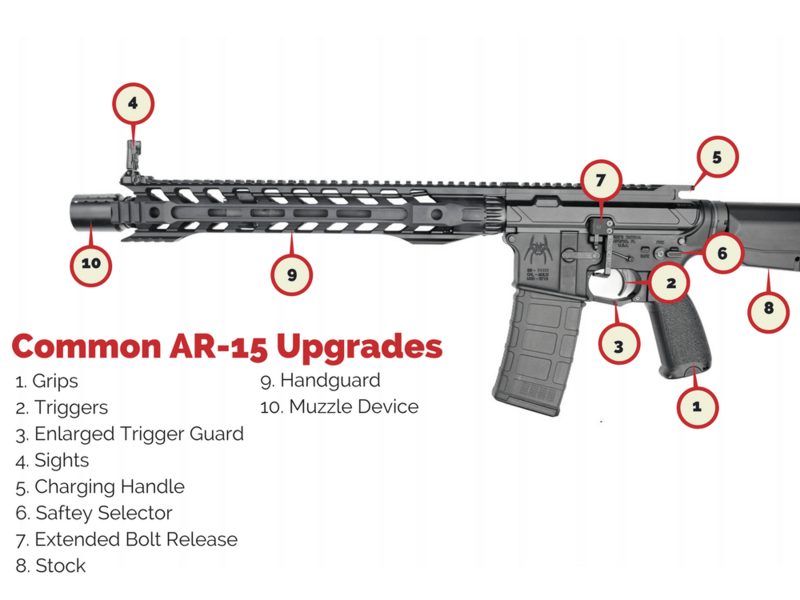 You don’t have to take your rifle to a gunsmith to install many common AR-15 upgrades. At Wing Tactical, we’re proud to carry a full line of the top AR-15 mods, so you’ll have no problem finding the customizations you need to take your shooting game to the next level. So if you’re looking for common AR-15 upgrades or even less conventional AR-15 upgrade ideas, you’ve come to the right place. Prior to moving forward with any customizations to your rifle, though, it’s important to make sure you’re well-versed on the laws in your particular state. Already done that? Good. Check out all these ways you can customize your rifle and give yourself an edge in the field or on the range. The way the rifle feels in your hands will play a huge role in the level of comfort you enjoy on the shooting range. After all, if your AR-15 doesn’t feel right when you grip it, you’ll be forced to spend too much time thinking about your hands instead of focusing on the task at hand. And that kind of distraction will almost certainly work against the accuracy of your shots. One of the most common AR-15 upgrades, modifying the grip of your rifle will play a huge role when it comes to ensuring an optimal shooting experience. As you begin your search for a replacement AR-15 grip, you’ll have to ask yourself whether you’re more comfortable with a smoother or more rigid piece of hardware. You’ll also have to choose the material — such as polymer or rubber, with or without fiberglass reinforcement — that works best for your shooting style. And you can’t forget to pick the right color, too. The overall appearance of your AR-15 counts. Those aren’t your only choices. Choosing a grip that increases your comfort level and ergonomics can make you more relaxed and reduce tension. Finger grooves, contours and palm swells make your gun fit correctly into your hand and fingers — you can decide based on your hand size to make sure your grip works just as well as the rest of the specifications of the piece. Like anything else on your gun, you’ll probably also want to pay attention to the weight of your grip to make sure your AR-15 doesn’t feel too light or too heavy in the field. You can choose from custom grip models in a variety of types, like angled and vertical foregrips, pistol grips, handstops and magazine well grips. A new grip offers several benefits. Some models work to absorb recoil, resulting in less muzzle climb. This allows you higher successive shot accuracy with tight shot grouping so you can reengage your target after each shot without losing valuable time. If you choose the right grip for your body and preferences, you’ll also experience reduced wrist stress and easier relaxation. Depending on the way you grip with your forehand, foregrips can protect your hand against barrel and rail system heat that occurs from extended use. Overall, a quality grip can offer enhanced, enjoyable, accurate shooting no matter what your gun is used for. Your trigger finger has the final say as to when a round leaves the barrel. This is why the trigger is one of the common AR-15 accessories that gunning enthusiasts seek to modify on their AR-15s. The perfect trigger will make your finger feel right at home, and you’re certain to enjoy the accuracy you achieve as you fire your AR-15 time and time again. In addition to one that has the right feel, you’ll also want to look for a trigger that provides a comfortable level of resistance. Look for a trigger that’s extremely durable, too, as you’ll want to be able to fire your rifle in every imaginable environment and scenario. You might want to look into curved or straight triggers for a crisper trigger pull in low-intensity situations and rely more on single-stage triggers and kits for high-pressure circumstances. Single-stage triggers for home defense ensure your rifle fires at the exact moment you pull the trigger, without fail. Two-stage triggers work better for competition shooting. Some allow you to make pull weight tweaks on each stage so you can line your shot up perfectly before you fire. Two-stage triggers are ideal for recreational shooting for the same reason, since you’ll be focused on a target. Hunting triggers depend more on your preference and the type of game you are planning to target. 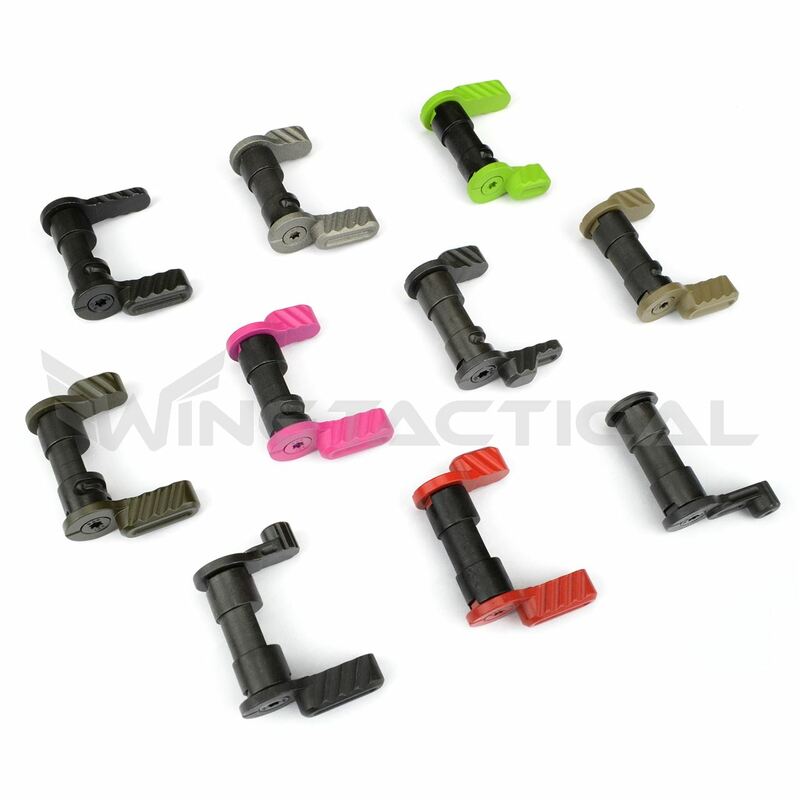 You could benefit from a full AR-15 trigger kit, which comes with the trigger, trigger spring, disconnector, disconnector spring and a hammer with a J-Hook spring. Custom kits sometimes have every part already assembled and ready for rifle installation, while others come with just the trigger. 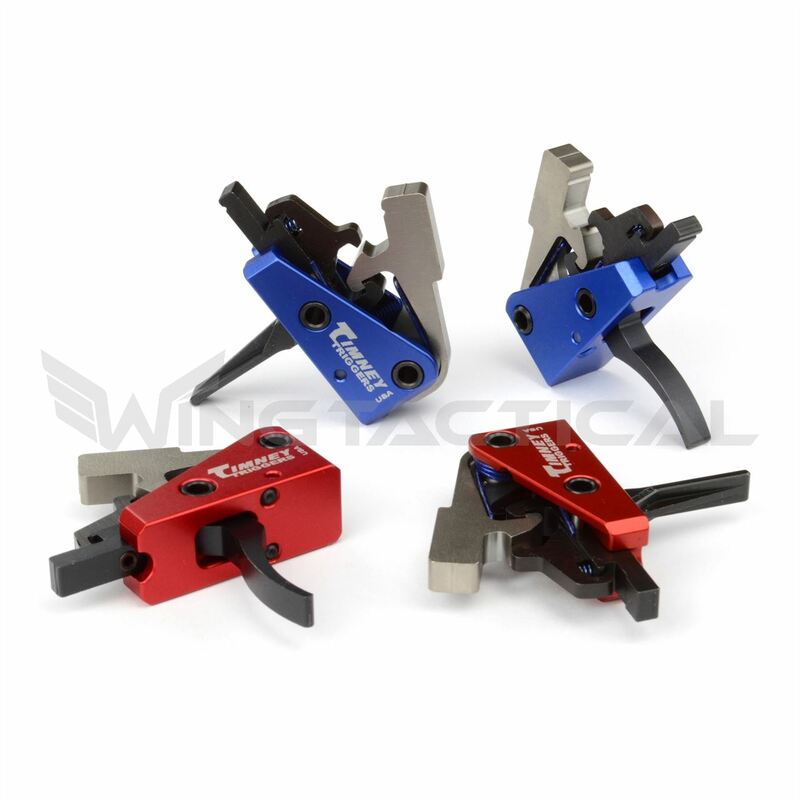 Drop-in trigger kits are easily installed and you can do it yourself. You can also have your local gunsmith replace your AR-15 stock parts with more complex kits. It all depends on the order you place once you’ve decided which trigger feels right. The bottom line is that you should think about the task you plan to take on with your rifle while deciding what kind of trigger will fit best your specialized uses. Whether you’re a hunting enthusiast, gun range extraordinaire, police officer or military professional, choosing the right trigger for your AR-15 means higher accuracy and an overall better shooting experience. Trigger guards are essential components when it comes to safety. They also work to protect your trigger and trigger components, making sure you’re able to enjoy your rifle for years to come. Many gunners have expressed concerns over the lack of room for gloved fingers that results from installing many traditional trigger guards. Thankfully, the manufacturers have listened: Enlarged trigger guards allow you much more room around your trigger, making sure you can fire your AR-15 with maximum comfort and precision. When you set out to build an AR-15 that’s perfect for your unique shooting applications, even the smallest parts need to match up to your preferences. Good enlarged trigger guards are made from smooth, formidable materials and are designed to make sure your fingers don’t get chafed during even the longest and most intensive shooting sessions. Customization is one of the most important factors when it comes to building an AR-15 that you love, whether it’s for hunting, shooting competitions, home defense, police work or any number of other applications. You need protection while firing, but you also need the ability to take the shot without feeling cramped — even if you happen to have larger hands or need gloves. Tight trigger spaces can slow you down and make it more difficult to engage or reengage a target in any situation. Enlarged trigger guards have a precision fit to improve your shooting ability. Our enlarged trigger guards have rubber bumpers that keep the gun from rattling. Once your order shows up, the Tool-Less model and easy installation will mean you have no trouble fitting it on your AR-15 quickly and easily for the perfect look and feel you’ve been needing. Enlarged trigger guards can enhance the overall look of your AR-15 on top of the other advantages they offer. The finish also offers protection against cracks, chips and corrosion, maintaining the entire piece and ensuring it stays just as impressive as the day you built it. Ever dealt with one of those microscopic stock magazine release buttons? It gets old fast. It usually means clumsily fumbling for much longer than necessary with a too-small button in a situation where time is of the essence. Dropping a used magazine and reloading is one of the most important components to staying fast with your AR-15. Sometimes, you need to customize your gun for fast magazine reload. Other times you might just need the ability to tear down your AR-15 rifle quickly. Either way, adding an extended magazine release to your gun will help significantly increase your speed. Instead of taking the time to change your position or adjust your grip to release, the increased surface area makes the process much easier and smoother. The decision to add an extended magazine release to your rifle is one of the best AR-15 upgrades you can make when it comes to efficiency. Easy to install, an extended magazine release is truly a transformative rifle upgrade. All parts are included. Every shooter benefits from the ability to discharge spent magazines as quickly as possible. An extended magazine release allows you to keep your grip as you discard a used clip. These components are ergonomically designed, so you’ll enjoy a more seamless shooting experience after installing one. The ability to design your AR-15 piece by piece gives you the freedom you need to build the perfect gun that you feel comfortable using. Whether you are a gun enthusiast who loves time on the shooting range, someone who works with guns in their day-to-day careers, a hunter or a competitive shooter, you’ll notice the benefits immediately when you choose to install an extended magazine release. With one of our extended magazine releases, you’ll even be able to cater to your aesthetic preferences with different colors. Make sure your gun has the look and feel you want to give you greater shooting enjoyment every time. The better your sight, the more accurate your shot — it’s as simple as that. That’s why, when you shop for a back-up sight to fit your perfect AR-15, you need to keep your intended use in mind and decide on sights that suit the cause. A wide variety of options exists in this component category. It’s important that you choose a back-up sight based on durability, precision and ease-of-use so you can continue shooting accurately without ever questioning if the different gun parts are withstanding the activity well. Back-up front sights can serve as backups for your red dot or regular scope. You never know when having a backup will be necessary, but you’ll certainly regret not being prepared in case you ever need one. You can also choose to customize your AR-15 with a back-up rear sight. These pieces of hardware fold down when not in use, so you’re able to easily get right back to shooting in case your main scope or red dot fails, or you just want a change of scenery. Many backup optic sights allow for fast target acquisition, which can be crucial no matter where you plan to use your gun. Red dot sights work in darker areas to allow better target acquisition. Holographic sights are small and light. They employ lasers to give you a bigger field of view, allow you to use any type of reticle for precision and offer a smaller minute-of-angle dot usage. Spike-style front sights can work with red dot sights or as a front component in flip up sights. They come with a luminescent stripe that gives off a helpful light source for shooting in low-light environments. Flip-up iron sights, both upright and offset, give you better long-range accuracy while still allowing you to use your iron sights for closer targets. Different options for back-up front sights come specifically suited to certain applications based on their qualities. If you’re worried about having the right gun for home defense you need quick target acquisition, easy use and the ability to shoot accurately at night. If you’re instead planning to participate in competitive shooting, you might want to consider flip-up front and rear sights to give you more adjustability. Customizing your perfect AR-15 means more accurate and enjoyable shooting in every operation. 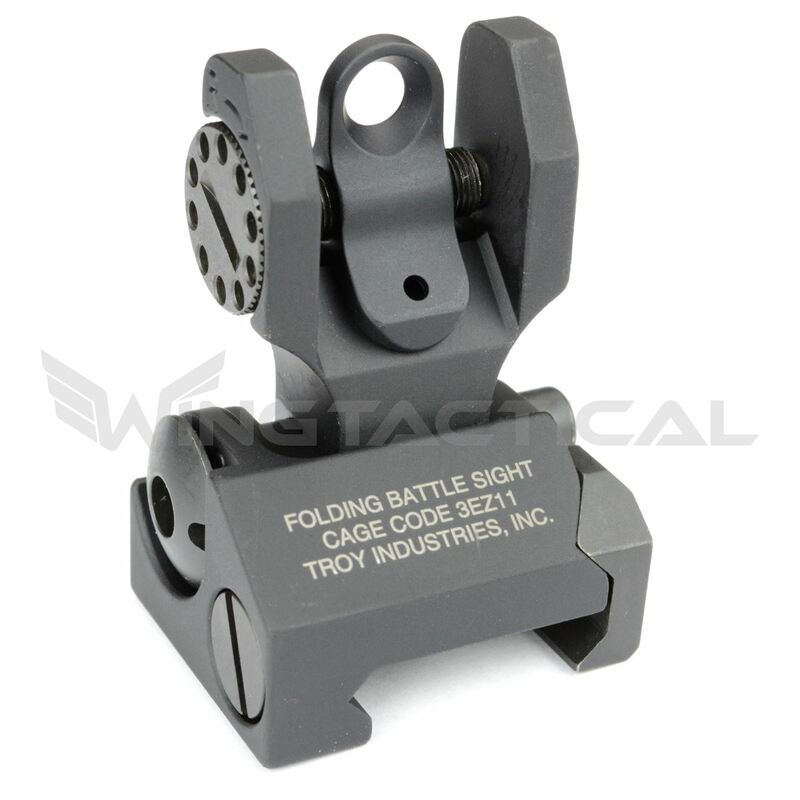 Great back-up sights will be made of steel or durable polymer, giving you the peace of mind that comes with knowing they can perform to the highest standards in even the most demanding of environments. When it comes to the many different components you’ll have to consider when you design your custom AR-15, the charging handle is definitely not one you want to make the wrong call on. Used to move the striker, bolt or hammer to the ready position, the charging handle makes the gun functional for shooting. It has several additional uses: ejecting unfired rounds and spent shells, checking the weapon for obstructions and rounds, clearing blockages and releasing bolts that have rear-locked. Choosing correctly is crucial to building the right gun. Left-handed shooters have certainly come to realize that many gunning components were designed with one type of shooter in mind: the kind who favors his or her right hand. 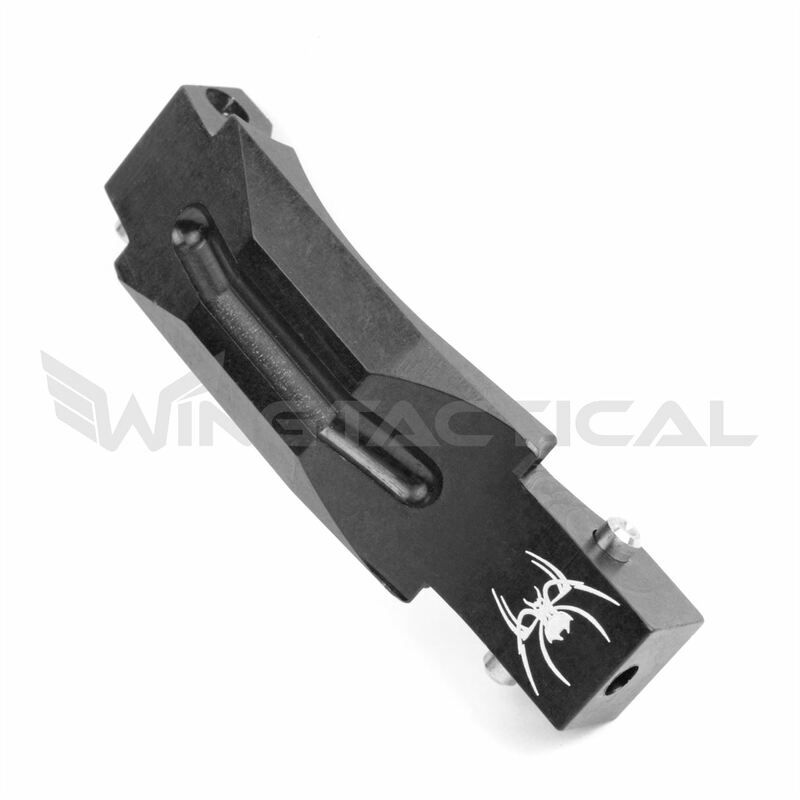 If you’ve ever had a hard time with a charging handle, you wouldn’t be alone. That’s why ambidextrous charging handles are one of the more popular AR-15 mods. Ambidextrous charging handles allow left-handed shooters to charge their rifles with their right hands. You can charge from either side with them, so on top of that, right-handed shooters will enjoy the versatility such an upgrade provides, as they’ll be able to shoot left-handed around barricades with ease. 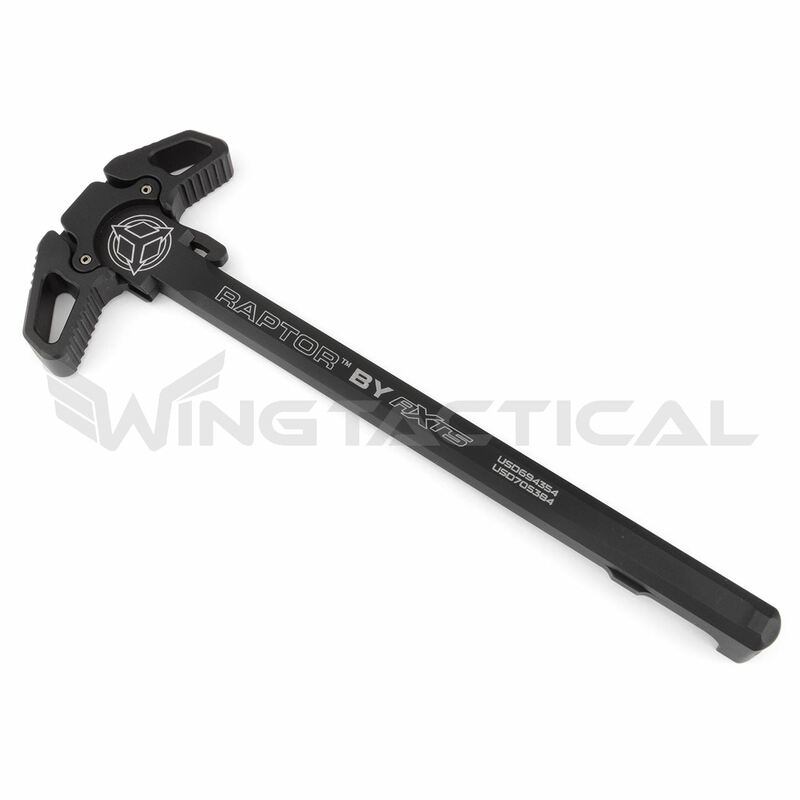 Gun users in tactical situations tend to get a lot of use out of the ambidextrous charging handle, as it increases their proficiency with both hands and allows them quick, accurate shots from either side. In military and law enforcement applications, an increased ability to maneuver your shooting around environmental obstacles without losing accuracy can keep a user safe. Casual and competitive shooters also find the ease and convenience of ambidextrous charging handles helpful. You can choose from a number of materials, colors and features for your ambidextrous charging handle so you have just as much freedom for customization as with any other part of your modular AR-15. Some are deeply serrated for easier control while others have ported holes to redirect gasses and reduce the effect of blow-back. No matter what type of AR-15 you decide to build, you can upgrade to an ambidextrous charging handle to give yourself an edge. Superior ambidextrous charging handles are designed to provide increased surface area and maximum grip, so you’ll enjoy a firm hold in all imaginable environments. It’s a message you’ve heard frequently, but it holds true every time: the importance of gun safety. Functional safety selectors ensure you can handle and transport your gun without accidental discharge. If you’re a left-handed shooter, you may also have dealt with a safety selector designed for right-handed shooters. It’s not an uncommon situation for a leftie to feel like they can’t customize and enjoy the gun they want because there aren’t enough left-handed options. By upgrading your AR-15 with an ambidextrous safety selector, you’re certain to enjoy a more optimal shooting experience. It won’t take more than a flick of your thumb to operate. Even if you’re right-handed, this type of safety selector means you can disengage quicker and easier on either side. After installing the safety bar, you can choose to place the lever of your choosing on the side of your rifle you prefer. Many superior ambidextrous safety selectors allow you to change levers with ease, so you can choose from a large selection of sizes to find the one that is best to your liking. No matter where you plan to apply your shooting skills, you’ll eventually need to disengage. An ambidextrous safety selector can conveniently increase safety while offering enhanced ergonomics and speed. A mirror image of your AR-15 safety status allows you to see it on both sides of the receiver. 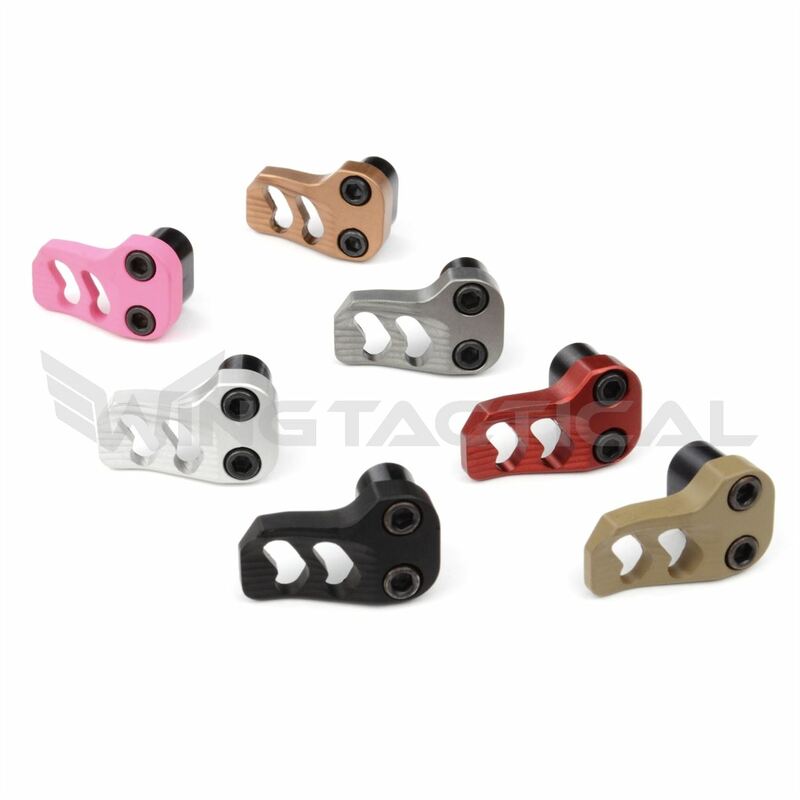 As with just about every one of our customizable AR-15 components, you can select from wide range of models and colors, including yellow, red, dark blue, light blue, black and more. The capability to build the perfect gun, suited for your exact preferences and application, gives you new freedom whether in the field for your career or on the shooting range for fun. Look for an ambidextrous safety selector that feels good on your fingers. Many of these components are designed with perfect fit and function, allowing you to make sure your fingers don’t slip off when you’re out in the field or on the range. They’re also easy to install and made from high-quality materials, so you’ll get to enjoy them for the foreseeable future. In order to live up to your full potential with your rifle, you’ve got to be able to clear jams and swap magazines as quickly as possible. When you upgrade your AR-15 with an extended bolt release, you’re able to release or lock back bolts with nothing more than your trigger finger. This stops you from having to worry about using your hand to slap a standard bolt release. When you add an extended bolt release to your rifle, you’ll reclaim time previously spent messing around with your AR-15’s standard bolt release. Speed is of great importance when it comes to several shooting applications, from recreational to career use. Whether you’re interested in customizing the perfect AR-15 for the gun range or you need the right weapon in law enforcement and military operations, extended bolt releases can offer an edge you want without making you sacrifice comfort. Many lightweight extended bolt releases can be added on to your rifle without you having to worry about carrying around and shooting a heavier gun. Ours have been skeletonized to avoid adding unnecessary weight to the gun. Despite their lightweight design, these durable components are ready to handle the most strenuous applications. They come made of steel with no extra components like screws or backing plates — a one-piece extended bolt release has the capacity to increase your speed while maintaining the gun’s easy maneuvering capacity. Using your trigger finger to take care of malfunctions and release or lock the bolt does more than speed up the process. It also makes the entire experience of shooting more enjoyable and comfortable, because you can complete this step without shifting around a lot. This means you won’t have to deal with frequent readjustments that keep you from focusing on your shooting accuracy and precision. No matter where you plan to shoot your gun, an extended bolt release will enhance the experience, making it a good choice for your AR-15 design. Many shooters have unfortunately dealt with the damage that results from trigger and hammer pins that have come loose, resulting in detrimental wear and tear around the holes on their rifles. This results in the pins walking out from time to time, particularly during the rapid fire of your rifle. Thankfully, it’s incredibly easy to make sure that you don’t suffer the same tragic fate as your fellow gunners. 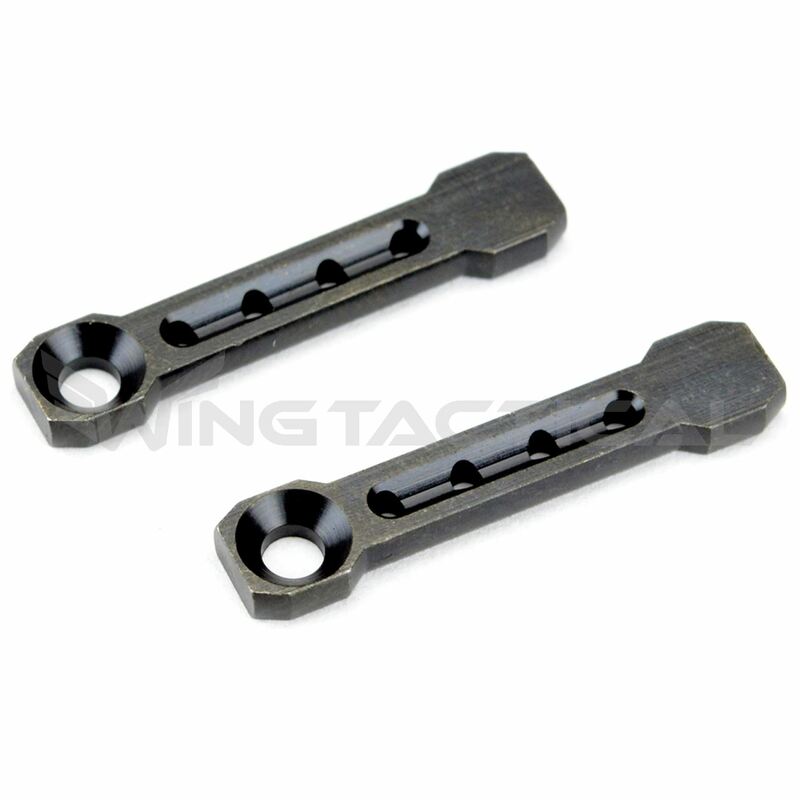 By investing a few bucks in anti-rotational pins, you’re able to upgrade your AR-15 while ensuring it remains powerful and accurate for a long time to come. One of the easiest AR-15 upgrades, anti-rotational pins make sure that trigger and hammer pins are bolted in place. When fully fastened, these pins won’t move even the slightest, resulting in more control over the rounds you fire. Your rifle is a powerful weapon that can produce recoil. In addition to transforming your AR-15 into a more comfortable rifle, stock mods help you easily absorb any kickback from your weapon. As you begin your search for this common AR-15 upgrade, you’ll quickly find that you have a lot of options at your disposal. You’ll want to find a stock that’s made of fine, high-quality materials and one that doesn’t add too much weight to your rifle. That way, you can ensure accuracy while not compromising on the versatility necessary to enjoy the most optimal shooting experience. It’s critical to consider the intended use of your gun before you choose which stock to add. If you’re building an AR-15 for competition, you might select an adjustable stock so you can choose the length of pull for optimal cheek rest height and fit. The more natural and accurate your shooting can be, the better you’ll do at your sport. A home defense rifle, on the other hand, often needs to be usable for many different individuals so that no matter who happens to be home, they can defend themselves in the event of an intrusion. This means an ambidextrous stock might be the perfect fit so that right- and left-handed family members alike can use the gun properly. Bells and whistles aren’t the goal here as much as dependability and ease-of-use so that any shooter has a fair chance of accuracy even while experiencing intense stress. Tactical shooters need the capability to adapt to their environment without missing a beat. Whether you’re a police officer or military personnel, a number of stock options might be best for you due to your profession. You may want the gun to blend with your person so you can avoid drawing any attention to your weapon, in which case either a collapsible or a minimalist stock would be ideal. Short and collapsible stocks also allow for high functionality in close quarters. Finally, for quick ammunition additions, a stock with an integrated magazine carrier is best. There’s no sense in settling for an uncomfortable stock. After all, you’ll certainly see that you have seemingly endless options in stocks and complete stock kits when it comes to upgrading this part of your AR-15. You’ll be able to find the stock that will improve your shooting experience. The history of weaponry, and specifically gun barrels, is an interesting one that has contributed to barrel improvements for centuries. Depending on your shooting style and the purpose of your rifle, you might want to upgrade your AR-15 with a barrel that’s longer or shorter, or one that’s heavier or lighter. After all, every round you fire passes through your barrel, so you have to find the piece of hardware that helps you best accomplish what you’re setting out to do. Some shooters prefer longer barrels because they provide a more accurate shot, while some riflemen prefer the versatility that shorter barrels bring to the shooting experience. If you’re worried about a home intrusion, a shorter barrel will be easier to maneuver and shoot quickly to keep you safe. If you need accurate shot groups, longer is the way to go. In a similar light, some gunners perform better with a lighter rifle, while some are comfortable with more weight. If you decide to use your rifle for a variety of applications — possibly including hunting, home protection and shooting range recreation — you might realize that accuracy and maneuverability both matter to you. You don’t always have to choose one or the other as a priority. A middle ground is always available if you install a barrel that has a more balanced and average length and weight. 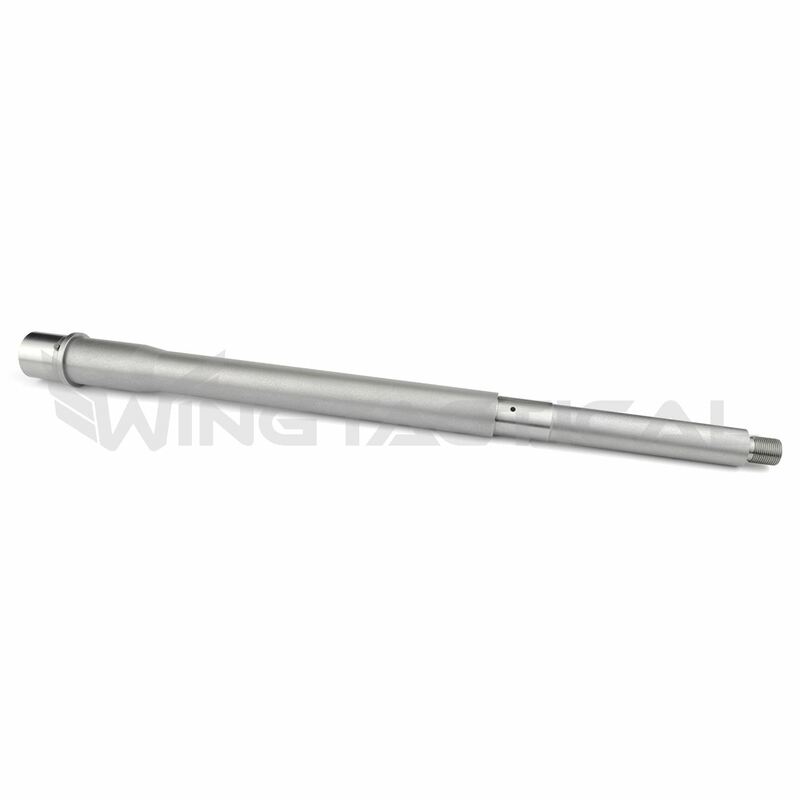 AR-15 barrels can come with chrome linings that help with a number of processes like cleaning and maintenance. They increase the lifetime of the component by protecting against corrosion and other wear and tear — especially for shooters firing round after round in great numbers. Stainless steel has less effect on accuracy than chrome, making it a more ideal choice for competitive shooters. No matter what application you have in mind, choosing the right barrel is not a decision you should take lightly. No round reaches its target without passing through the barrel. Other factors like twist rate can also affect your accuracy and overall barrel decision, so make sure to consider every factor before purchasing. If you’re looking for AR-15 upgrade ideas, you should definitely consider whether you’re in love with the barrel that’s on your rifle today. You never know what you’re missing out on until you try out a new barrel. When it boils down to it, the handguard on your rifle is much more than a place to grip. These components can also serve as ventilation points to ensure heat doesn’t build up under your handguard. Free-floating handguards and rail systems don’t touch the barrel except for one point of contact on the barrel nut. They’re often heavier because they need to support their own weight plus that of added accessories. However, some of the best free-floating rail systems on the market are made with durable yet lightweight aluminum. This material gives you the peace of mind that comes with knowing these accessories can perform in all conditions, handling the intense heat that’s generated from the barrel - particularly following the rapid fire of your rifle. Drop-in handguards have a much simpler look and feel and are kept in place by more points of contact on the barrel itself. This means they can have a lighter design, keeping excess weight off your gun. 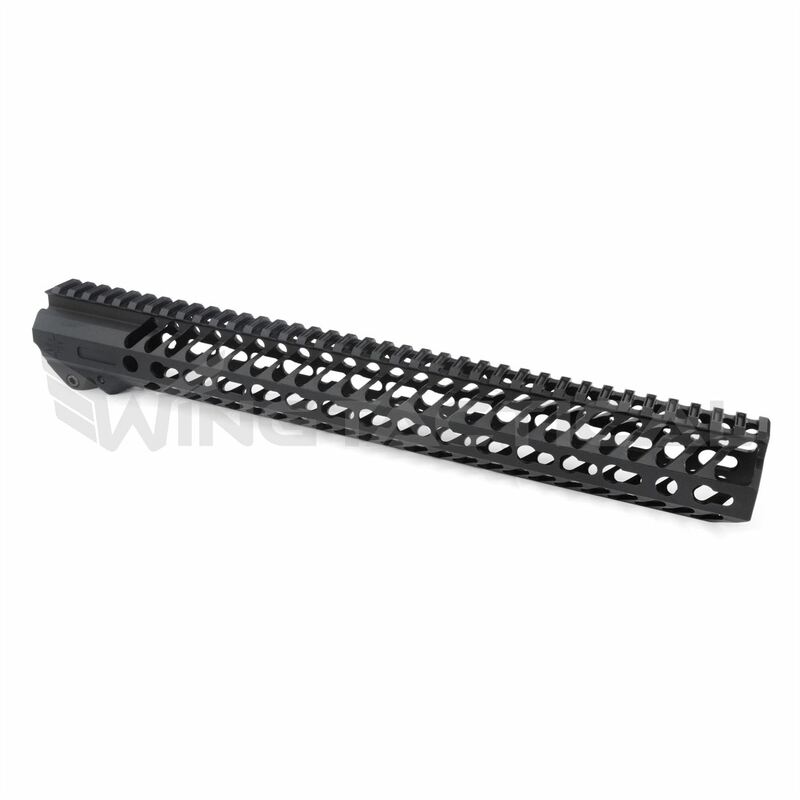 Since this type of handguard touches the barrel on both ends, it can affect accuracy by transferring its typical, slight movement to the barrel. Drop-ins can still be the best choice for some owners since they are more widely available and inexpensive. Rail Systems provide you with the ability to mount essential accessories on your rifle such as flash lights, lasers, back up sights, foregrips, etc. This can make your experience more enjoyable and it can also give you an extra edge and element of safety in tactical settings. Free-floating rail systems make your gun more accurate if you can shoot with the extra weight because they don’t touch or physically interfere with the barrel at all. The decision you make about whether you want to install a rail system or a traditional handguard has as much to do with aesthetics as it does with functionality. Several gun owners like the look and feel of a handguard without bells and whistles, as the simplicity makes the piece look more like a traditional rifle. Depending on your preferences and application, liking the appearance of your customized rifle can be just as important as the ability to use it effectively, especially for recreational purposes. Be sure to check out all models, lengths, colors and more. Many gunning enthusiasts believe that changing your handguards and free-floating rail systems is one of the best AR-15 upgrades you can do because it’s a quick change that results in immediately noticeable benefits. Think your stock iron sights are good enough? Think again. Until you’ve upgraded the optics on your AR-15, you don’t know what you’re missing out on. One of the most common AR-15 upgrades shooters make is the decision to put optics on their rifles. These components are arguably the most essential ingredients when it comes to accuracy, as they help you see your targets clearly and precisely. If you’re looking to become as accurate a shooter as you can be, it’s certainly worth considering what kind of optic you should use to help you reach your rifle’s full potential. 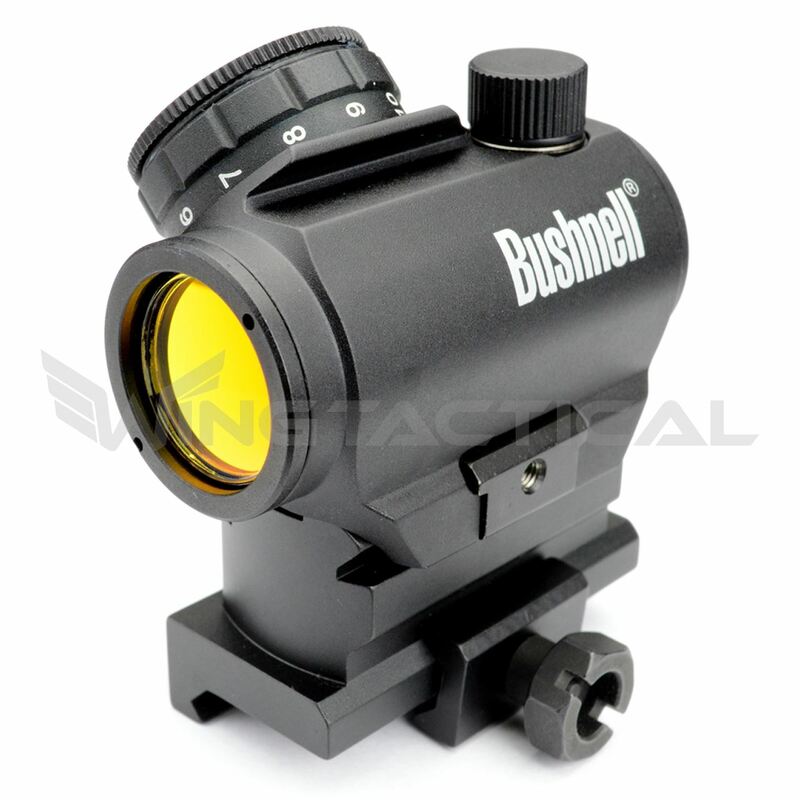 There are many different kinds of optics on the market - Scopes, Red Dots, Holographic Sights and Hybrid Sights. Every kind of optics are designed with a specific purpose. You need to know what is the purpose of your rifle, how far you want to hit the target, and how quick you want to acquire your sight picture before choosing your optics. Red dot and holographic sights both increase target acquisition success tremendously. Red dot sights are a more common optic than holographic sites. They use an objective lens with a partial mirror coating and they come in two styles: tube-body and heads-up. Heads-up red dot optics components weigh less and can be mounted farther down on the body of the rifle, which makes the rifle itself less bulky. Holographic sights place a reticle on your target view using a laser. They are smaller and lighter than red dot sights and they have a heads-up style which offers several advantages. They allow a larger field of view, less sight occlusion and the use of reticles of whatever size and shape helps your shot the most. You have to consider several variables when you’re in the process of choosing an optic for your AR-15. First and foremost, know what you’re using it for. The durability, precision and ease-of-use of each of these optics is different. These attributes will matter to you more or less depending on whether you’re shooting in your line of work for safety day-to-day, planning to protect your home in the event of a break-in or something else. You might also be participating in shooting competitions or you just plan to have a lot of fun days on the shooting range. Are you tired of having to battle muzzle climb and recoil in order to maintain your accuracy and quick follow up shots? Many gunning enthusiasts choose to upgrade their AR-15s by switching to muzzle brakes or a muzzle compensator. These components reduce muzzle climb and recoil, giving you the dexterity necessary to zero in on your target even while rapidly firing successive rounds. Muzzle devices are some of the easier AR-15 upgrades, and they make quite the difference. There’s no sense in struggling with your rifle when you’re out in the field or on the range. 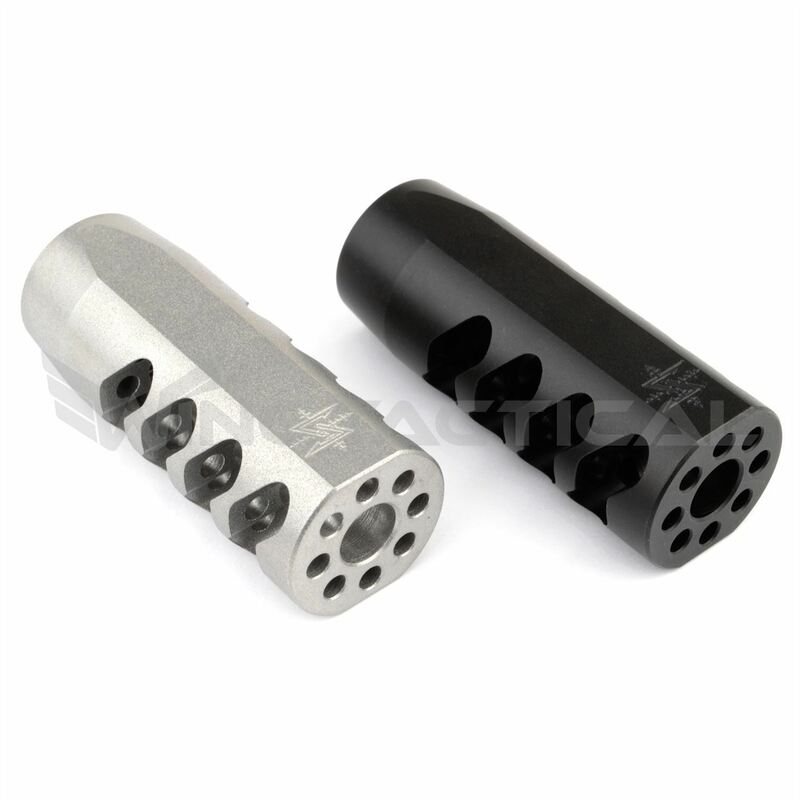 Muzzle brakes and compensators make accomplishing your objectives that much more attainable. Muzzle brakes are a main component in reducing recoil enough to keep your barrel steady. They redirect the gas following the bullet out of the barrel, pushing it through vents on the side and forward on the brake. This keeps recoil and muzzle climb to a minimum, which means you can keep shooting without stopping to readjust while you reacquire the target. Many gun enthusiasts who take part in shooting competitions find the muzzle brake essential for the accuracy and speed they need for an edge during the event. If you are a night hunter, or are serving in the Armed Forces / Law Enforcement which may require you to fire your rifle at night, you might want to have a flash suppressor. Flash suppressors help reduce the flash coming out of your barrel after you fire a round. This can help conceal your location in a low light area, which can even give you the upper hand and intimidation factor in home invasion situations. The flash from your barrel tends to affect your night vision, so reducing it should also improve your night vision capabilities. Compensators are simple and serve a similar purpose to the brakes. They vent gasses upward at the muzzle, which helps to push downward and give the muzzle vertical stability. Some compensators are hybrid muzzle devices — many offer compensation, flash suppression and braking all in one. No matter what muzzle device you choose, you can add a visual element to your rifle that appeals to your exact preferences. They come in a few different colors and with different designs depending on the qualities you shop for. Wherever you plan to apply your shooting skills, you should be happy about the look, feel and functionality of your AR-15 as a whole. One of the most common sources of malfunction in an AR-15 is a lack of lubrication in the rifle’s action parts – the bolt carrier group. The components of the bolt carrier groups are essential and they are subjected to extreme wear and tear as you continue using your rifle. Luckily, manufacturers understand this pain point. They’ve designed the perfect AR-15 upgrades to make sure shrewd rifle enthusiasts don’t have to deal with a weapon that’s not working consistently. When you run your fingers along a nickel boron coated bolt carrier group, you’ll certainly notice how slick the components are designed. This allows you to fire your rifle rapidly with much less lubricant and without having to worry about your AR-15 getting jammed. The AR-15-style bolt carrier doesn’t have as much weight, and this increases cycling rate to offer you higher shot speed. Many owners who take part in shooting competitions enjoy the increased round release rate these carrier groups offer, as it gives them the appropriate edge. M16-style bolt carriers are popular options as well. They are often called “full auto,” but you should know before purchase that they do not actually make your AR-15 a fully automatic weapon. M16-style bolt carriers are typically heavier. While this reduces speed, it also gives the rifle better accuracy and reliability, reducing the recoil you feel after each shot. The characteristics offered with an M16-style bolt carrier make it the perfect modification to rifles used against home invaders and other situations where reliability and precision are much more crucial than speed. M16 and AR-15 bolt carrier groups can be purchased complete in kits, which means they come with bolts, carriers, cam pins, extractors, gas keys and firing pins. 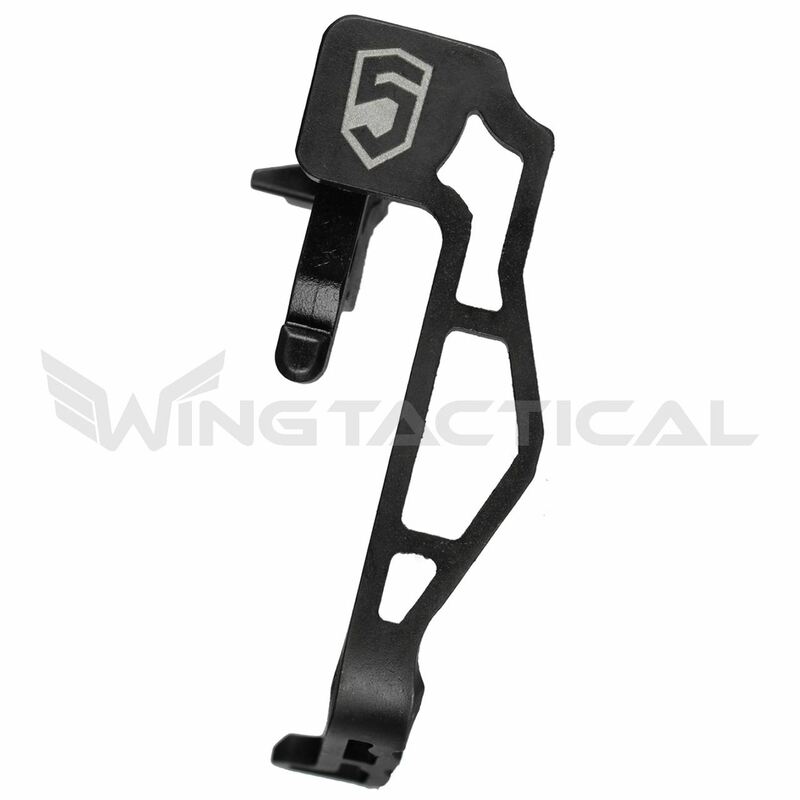 You can find a number of manufacturers when you check out the Wing Tactical selection. This easy AR-15 upgrade was designed to resist corrosion, ensuring you are able to enjoy your new component for years to come. Are you looking for more options when it comes to how you carry your rifle? One of the more common AR-15 upgrades is changing the rifle’s slings and sling mountings. This allows you to carry your weapon over either shoulder, something that left-handed shooters and those who enjoy flexibility will undoubtedly enjoy. 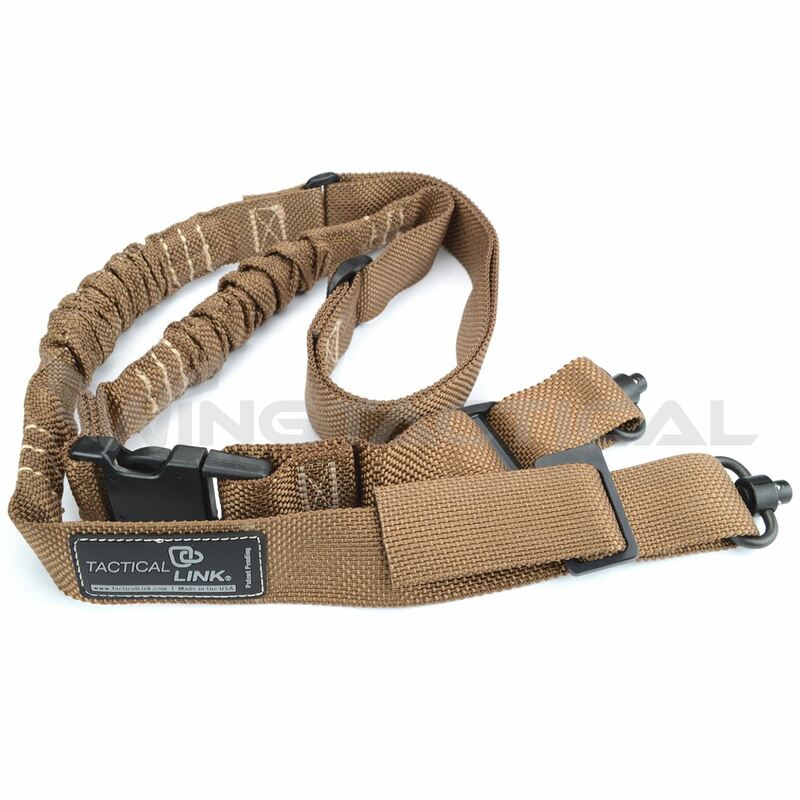 Some shooters even employ certain slings to help them stabilize their aim and attain more firing accuracy. Single, two- and three-point slings allow you to customize your rifle transportation the way you see fit. Slings help you handle your long, heavy guns when you aren’t using them so that you can take some weight off your own arms and worry about getting where you’re going. It’s important to weigh the pros and cons of each type of sling so you can make an informed decision before purchase. Single-point slings have a single loop which goes over your head and the strap runs diagonally across your body. With these types of slings, you can grab the gun easily from resting position because it will be close to the front of your body. These slings aren’t great for weight distribution, but you can switch from side to side easily if one of your shoulders gets tired. This makes them a good choice for police officers and military users who carry their guns all day. Two-point slings are the most popular. They have adjustable loops that allow you to change the length of your sling without losing time. You can carry your gun in many different positions with these slings, including over your shoulder, across your back or across the front of your body. The design aids shooting more than the other two slings because the loops can be adjusted quickly and easily to help hold the rifle stable and in place for an accurate shot. The only noted weakness is that the user has to unsling to transition to another holding position. Three point slings are not typically used anymore. They secure the gun to the holder well but they tend to restrict gun movement and adjustment. Their best function is keeping the rifle securely away from you during movement and transport. As with any other external AR-15 modification, slings add to the overall appearance of your rifle. It’s important that you choose the color and style that fits your gun so your customization is perfect from the largest to the smallest parts.